* Achieved a membership of around 300 individuals from all parts of Norfolk and the Waveney Valley, as well as ex-pats scattered across the world. 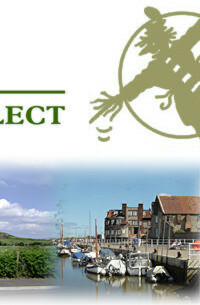 * Visited all parts of the county with a rolling programme of at least four public meetings (or dews) each year. These meetings have attracted distinguished and entertaining speakers and have helped to raise funds for our cause. They have included our annual New Year party and scratch pantomime which, in January 2005, raised more than £450 for the Eastern Daily Press South-East Asia Tsunami Disaster Appeal. * Established a website which, to date, has recorded over 80,000 page-hits, many of them from Norfolk exiles living overseas. * Given advice on dialect to theatre actors, producers and authors. * Secured Lottery funding to purchase recording equipment, and given training in its use to a number of members. * Made steady progress with a programme of recording dialect speakers, the recordings being housed in the Sound Archive at the Norfolk Records office. * Assisted with the organisation of seminars involving teachers and the University of East Anglia. * Applied for further Lottery funding, totalling almost £25,000, for a pilot project, being carried out in co-operation with the Local Education Authority, to introduce an understanding and appreciation of Norfolk Dialect as a subject for study in the countys schools. If the bid is successful this initiative is on track to be launched this year. * Put together displays at various fetes and festivals around Norfolk, including the Origins promotion at The Forum in Norwich, and taken part in other events such as the Harleston Festival. During that period our President, Peter Trudgill, has completed his book on the historical development and grammar of the Norfolk dialect. 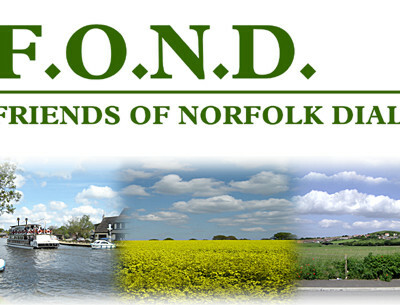 As you may recall, one of the factors which led to the formation of FOND was the concern and disappointment often expressed by Norfolk people over the portrayal of their accent in films and on television. It was our view that the writers and producers of programmes set in East Anglia, who would make every effort to ensure the historical accuracy of their work in every other respect, paid scant regard to the need to ensure that the language spoken by actors portraying local people was equally authentic. We have continued to express our views on this issue whenever possible, and we have taken a number of opportunities to raise the profile of the Norfolk Dialect through the media, including taking part in the current BBC Radio 4 Voices project. Our continuing aim is to record and promote the dialect which is such an important part of the history and character of the region. 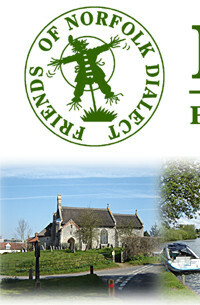 It was on the afternoon of Sunday, 3 October 1999, that some fifty people from all corners of the county gathered in the Village Hall at Yaxham and decided to establish an organisation which would strive to preserve the unique sound of the Norfolk dialect. Under the chairmanship of Keith Skipper, a constitution was agreed, an organising committee elected and FOND was in business  with a figure of international repute in the field of linguistics, Norwich-born Professor Peter Trudgill, as its president. 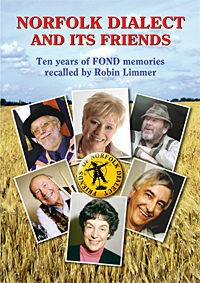 The story of FONDs efforts to improve the handling of our dialect by the broadcasting media, talks and seminars at county level funded by a £24,600 Local Heritage grant, plus school visits and sound-recording in the community for the Norfolk Archive Centre is told in Norfolk Dialect and its Friends  with ten years of FOND memories recalled by Robin Limmer  has been published by John Nickalls Publications, of Suton, Wymondham. The foreword is by Keith Skipper and the book is designed by Ashley Gray. The book is also a compendium of feature articles which have appeared in The Merry Mawkin over the past ten years, including a miscellany which sings the praises of our county in the twin series What Norfolk Means to Me and Norfolk by Adoption. Norfolk Dialect and its Friends is printed in the popular A5 format, has 224 pages and is illustrated with over 120 monochrome photographs, and is available direct from FOND.